Trying to decide on what type of garage door to install? Want something that will stand out and make a good impression? Why not consider a sectional / panel lift garage door? What is a sectional / panel lift garage door? 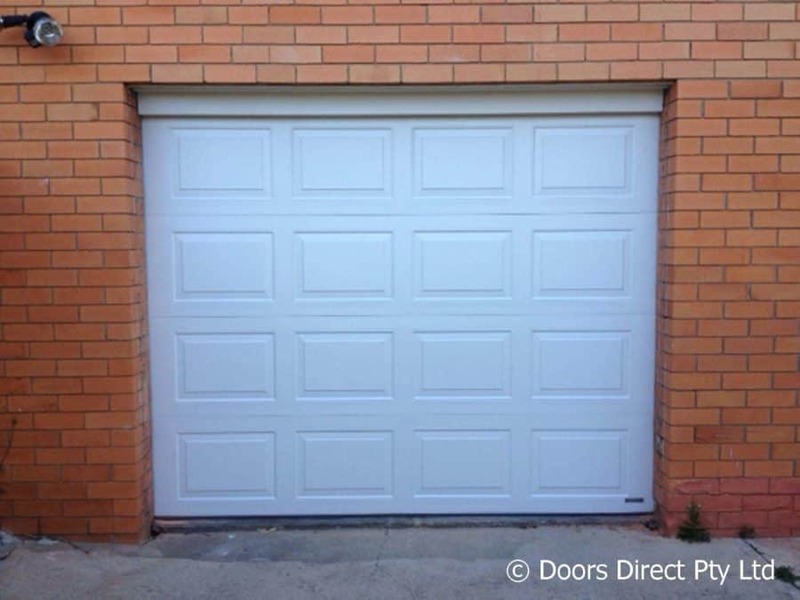 Sectional overhead doors consist of a series of horizontal panels hinged together to form one solid garage door. Sectional overhead doors operate in a track system that allows the doors to open vertically, through a curve, and follow the tracking across the ceiling. 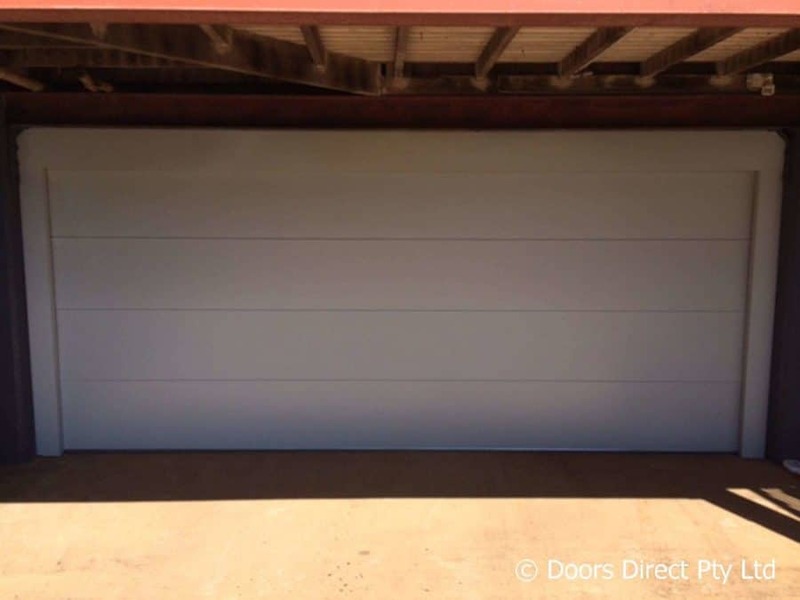 Sectional overhead doors come in a variety of styles and a wide range of colours in Colorbond, powder coated, and timber look versions. No matter what type of house you have, you can achieve the look you want with a sectional / panel lift garage door. You can customise the look of your garage exactly as you want it. What size is a sectional / panel lift garage door? Sectional overhead doors are all made to measure and are manufactured to suit openings up to 3 metres high and 6.4 metres wide. What are the advantages of a sectional / panel lift garage door? A wide range of colour choices: sectional / panel lift garage doors are a popular choice due to the wide range of design and colour options. 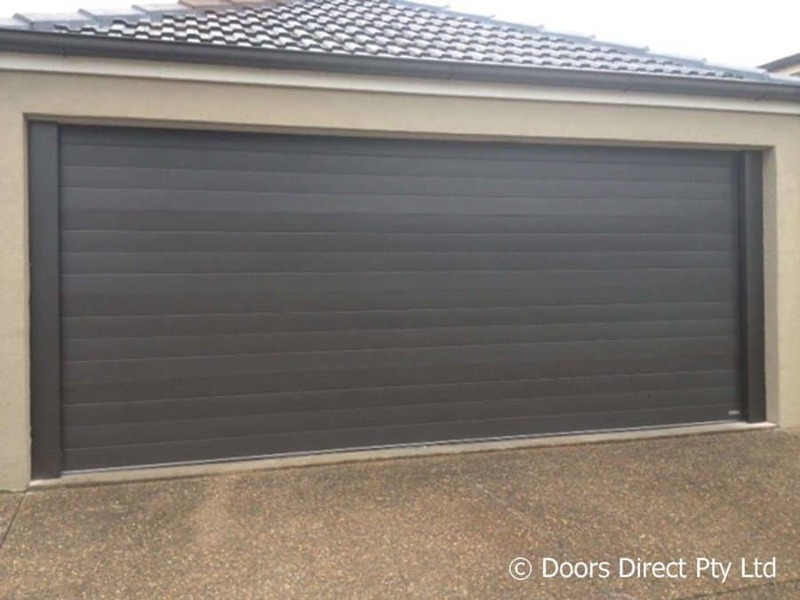 The Sectional garage door is versatile allowing it to suit a range of house styles from a Queenslander to a modern home and everything in between. No matter what your house looks like, you can enhance its aesthetic appeal with a new sectional or panel lift garage door. You can have a garage door that is eye catching, or seamlessly blends into the decor of your house. If you are looking for something that stands out, a custom aluminium garage door could be the answer. Able to be motorised: sectional overhead doors can even be motorised for your convenience or operated by hand with the use of use of a lock and key. Coming home and parking in the garage has never been easier. Durable: when you’re buying a garage door, you want to have peace of mind and know what you’re buying will last. Sectional / panel lift garage doors are extremely durable, as each panel has its own connection to the track. You won’t have to worry about your garage door suddenly breaking. Uses minimal space: sectional / panel lift garage doors use head room in the garage, meaning it takes up minimal space within the garage and your driveway. Want to get some inspiration before committing to a sectional / panel lift door? Check out our gallery for more ideas, designs and colour options. If you can’t find what you are after, contact us today. 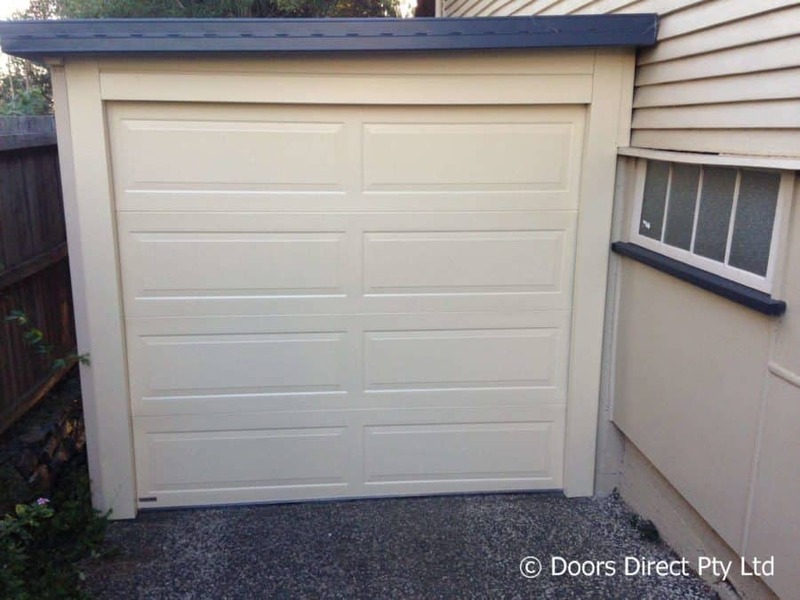 No matter what garage door design you want, Doors Direct can help you achieve it.